Oops! It looks like you tried to access content reserved for Professional members. If you’re a member you can sign in using the widget on the right. If you are a beauty professional or salon owner who would like access to our On-Demand Portal and VIP Access area simply fill out the access request form below. Many people who are considering adding new services to their treatment menu in 2012 are held back because of limited access to education of whose schedules simply are too busy to take time out to come to our hands on trainings. 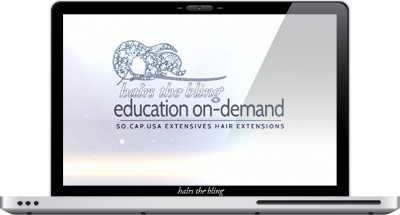 This On-Demand Education Portal features easy to follow step-by-step demonstrations, in-depth theory and suggested marketing activities designed to make any new service a success. Best of all it’s accessible 24 hours a day, 7 days a week. Signup for free via our enrollment form below. Please note that it may take up to 24 hours to verify and grant access. Are you looking to add or replace a haircare line?